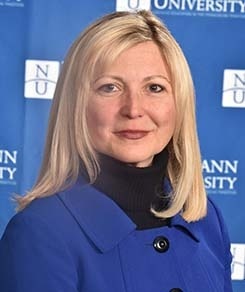 The Neumann University Center for Leadership is intended to serve as a community leadership development venue where beginning and mid-level community, corporate, and non-profit emerging leaders have the opportunity to learn about the proper roles, relationships, and responsibilities of public and private office holding, including appointed, elected, and volunteered (e.g., nonprofit trustee/board) positions. These learning opportunities will be taught by a combination of scholars and successful community leaders including experienced practitioners, and office holders. The program outcome is to develop community leaders who are better prepared for their offices, better educated to avoid pitfalls and mistakes, and better armed with awareness of consequences for illegal and unethical behavior, but more importantly, the wherewithal to make positive values-driven decisions. Subjects will range from governance best practices, such as policy, ethics, strategic planning, compliance, and risk management to leadership communications, such as public speaking, diplomacy, and handling the media. Other topics will address being in the spotlight, such as running for office and bringing together teams; to financial matters, such as non-profit tax returns, bookkeeping, and financial planning; to fundraising, such as grant-writing, event planning, and government relationships. In proud collaboration with the Delaware County Bar Association of PA, attendees can earn CLE credit or CPEs credits for certain Center programs. Please check the program description for the eligible credits.